Which half is your favorite? 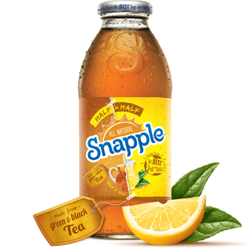 The tasty tea or the tangy lemonade? When they're blended this perfectly, you won't care. Which half is your favorite? The tasty tea or the tangy lemonade? When they're blended this perfectly, you won't care. We mixed these two Made from the Best Stuff on Earth flavors into a refreshing mash-up that's half beverage, half amazing, and all natural.